SEAL Systems’ PDF Longlife Suite makes manual work steps unnecessary when it comes to conversion of nested files into PDF/A-2. Most conventional tools for creating PDF/A-2 can only create single PDF/A files. The newest version of PDF Longlife Suite from SEAL Systems can also convert nested or embedded files, such as e-mails with attachments or Excel sheets embedded in Word documents, into PDF/A-2. Here the use of the PDF/A-2’s property itself is essential for it to be a container for other PDF/A files. PDF/A-2 files are wonderfully suited for long-term archiving. In fact, many companies have made the conversion of important documents into this archiving format mandatory. There are many interactive tools and automatic processes available for the creation of PDF/A-2 files, among them Adobe, Adlib, Callas, Foxit, and Nuance. However, these generally only allow the adaptation of single files to the PDF/A-2 standard or the conversion of non-PDF files to a PDF/A-2 file. Most conventional tools reach the limits of their capabilities if, for example, PDF files, e-mails with different file formats in attachment (Word, Excel, image files) or Excel sheets embedded in Word documents need to be converted to PDF/A-2. Nested files are often manually taken apart, converted one by one and then stored again in one place. 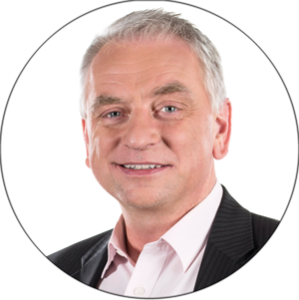 Such a process involves not just unnecessary work steps, but also the risk of loss of information. The PDF Longlife Suite from SEAL Systems was able to transfer PDF files to PDF/A-2 format. 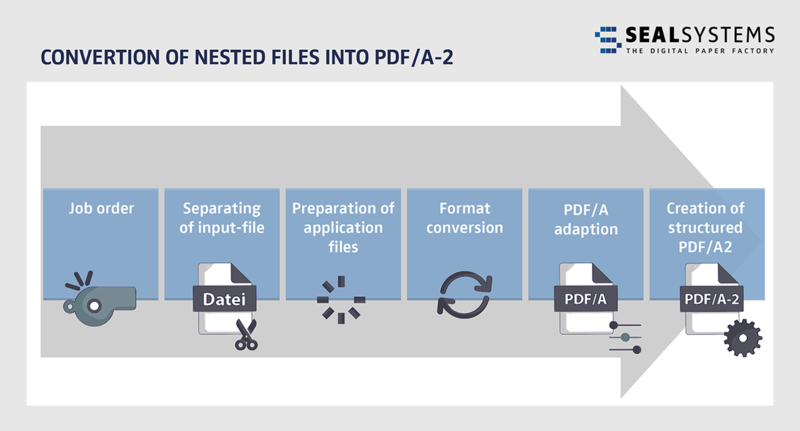 With the newest version of the application it is now also possible to convert nested or embedded files completely in PDF/A-2, without having to dismantle these first. Longlife Suite’s conversion server disassembles the input data into its components. Container formats like ZIP are likewise disassembled. Then it converts all files individually to PDF/A and reassembles the parts just like they were in the original file. In this way, MS Office and PDF files as well as many image formats can be transferred into long-term PDF/A format, without intermediate steps.